If you're reading this review of the Steven Seagal  vehicle “The Asian Connection,” it is probably too late to dissuade you from seeing almost any other movie. I get it: you want to see a movie with a vaguely racist-sounding title starring the has-been star of cheesy action films like “Hard to Kill,” “Marked for Death,” and “Above the Law .” These films are bad, but in an endearingly disastrous way. The same is basically true of “The Asian Connection,” a lousy bank heist flick and one of Seagal's most engagingly tacky recent efforts. I want to defend this movie, but it's so bad that I must warn you: if you watch this film knowing that it is Steven-Seagal-wearing-a-du-rag-and-glowering-impassively-at-attractive-young-women bad, you will get what you pay for. That's both an endorsement and a warning. 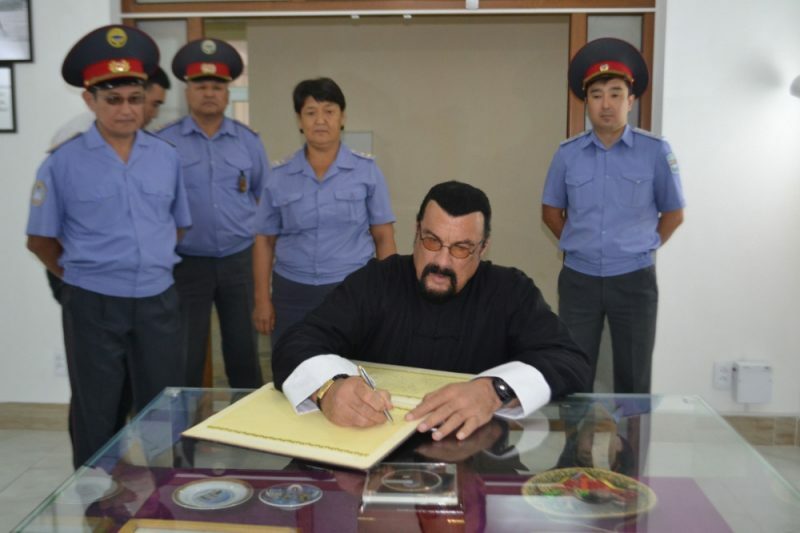 Seagal's Central Asian and Russian connections go back at least a decade, as this well-written account  of his various trips to former Soviet countries details. In the latter he reportedly arrived as a replacement  for Jean-Claude Van Damme, who had intended to appear at a martial arts tournament there but fell ill at the last moment. Not really. 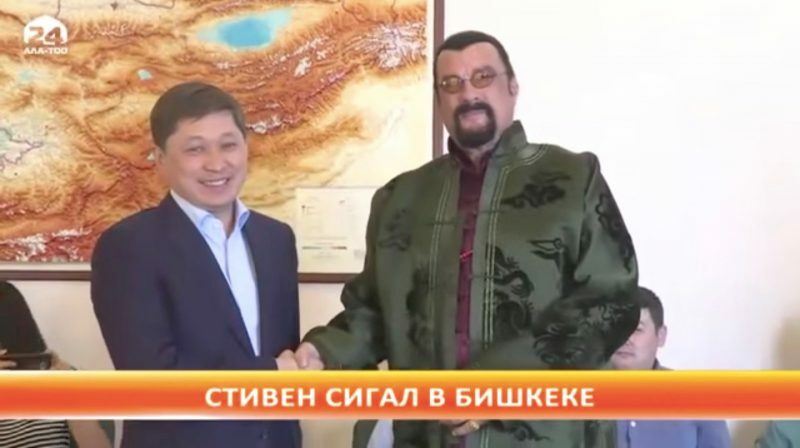 The problem is that Steven Seagal's latest journey through Eurasia is actually all about promoting Steven Seagal's years-old and very public bid  to star as Genghis Khan in an epic made by any producer with deep pockets. A horrendous, horrendous,  idea? Probably. This is how you can try to stop it happening .